The Skin Care tag offers you multiple articles on different topics that solve skin problems as well as their solutions. They range from seasonal skin issues to common ones such as dull skin, acne, pimples, blackheads, etc. You will also find natural face packs and home remedies to remove skin woes. Apart from that, you will also find many simple tips to get the glowing, healthy, and beautiful skin. In this Skin Care section, you’ll find many home remedies to treat skin problems such as melasma pigmentation, dark circles, stretch marks, oily skin and so on. Your kitchen closet is packed with home remedies that can deal with all your skin problems. 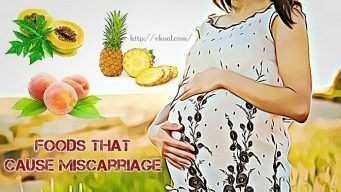 These natural ingredients such as lemon, apple cider vinegar, baking soda, turmeric, etc, are cheap and safe. They are also effective and don’t contain side effects. You will also find various face packs or masks to deal with many problems related to skin. For example, face masks for acne scars, face packs for fair skin, face scrubs for oily skin and so on. These simple homemade recipes take no time to prepare and make. They also use many of the ingredients lying around in every kitchen. You don’t have to spend a big amount of money on great skin care. Many drugstore brands and department-store of skin care products contain many toxic ingredients, harsh chemicals, artificial colors and more. Therefore, it is best to use natural products. As a bonus, this Skin Care tag also provides a number of simple yet effective tips and tricks that are very beneficial for tackling a number of skin issues and improving the skin’s health. So browse through our skin care secrets and try following them frequently to get healthy and glowing facial skin. Remember that all the tips and natural remedies mentioned here on VKool don’t provide medical advice, diagnosis or treatment. Our goal is to offer informational purposes only.